In dry conditions our Nano Flex fabric is stretchy, breathable and warm thanks to its softly fleeced inner face. But in wet conditions the nanotechnology water-repellent surface keeps much of the moisture at bay. 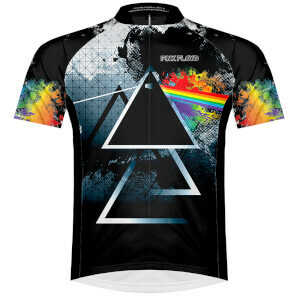 There is no membrane to block breathability, though, so in harder rain or on longer rides some moisture will come through. But that’s when this fabric is at its best: it never feels waterlogged, it almost feels dry on your legs, and best of all it continues to keep you warm. If you’re going to do serious rain riding, you should look to our Nano Flex Pro Bibtight, or even the Tempesta Pant, but for lighter rain, warmer temps or wet roads this will be ideal. Good shorts, great in combination with the nano flex leg warmers. Wore them on a chilly winters day and didn’t feel the cold. I recommend one size larger than normal. These bibs are very comfortable in normal conditions. The legs are a bit longer and the fabric is very stretchy. My first ride was in the pooring rain with temperatures around 5 C. Halfway the three and half hour ride I was soaked and very cold. I had the nanoflex arm- and legwarmers too and a gabba jersey. Still very cold. I expected a bit more rain protection. Second ride was in dry conditions around 12 to 15 C. This was very comfortable and not too warm. 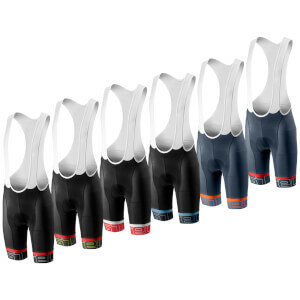 I'm 5'-6" & 120 lbs, the SMALL bibshorts are the same length as Castelli Endurance x2 (longer than Castelli Free Aero Race bibshorts by one inch). The padding, KISS+air is just as good as Progetto X2. The NanoFlex2 bibshorts is not as tight as the Free Aero Race bibshorts. The Castelli text (both legs) is a reflective ink and is not rubberized (probably will not peel or crack). The NanoFlex fabric was blemish free. I wore the shorts with merino baselayer + Gabba SS + NanoFlex Arm & Kneewarmers in dry 7 degree celsius weather. Nice & warm, with very little sweating. Washed the NanoFlex bibshorts with Purex, Free & Clear liquid detergent. I bought another pair after receiving and putting the first through my test program. They do exactly what Castelli say and I don't need 3/4 legs as these bit shorts kept my muscles warm. Great product! Delivery to Australia was outside the specified time. 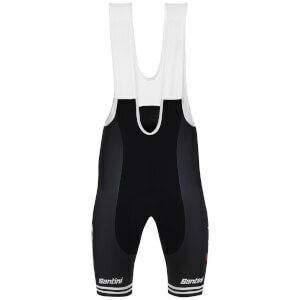 These bibs are a similar size to my other Castelli bib shorts (M size) but they are a bit longer in the leg, which you'd expect for cooler weather clothing. I've ridden them on a 5°C morning and they were perfect but did feel a bit warm at the end of the ride when the temperature was 15°C (but not uncomfortably so). I'd say these are good to about 0°C (with knee warmers) for fast group rides.